How Long Do Dental Sealants Last? And what Exactly is the Pit & Fissure Sealant Procedure? Awareness of the importance and benefits of applying dental sealants has increased over the last couple of decades. A dental sealant is a protective barrier that covers the teeth. The sealants prevent food and bacteria from contributing to forming cavities. With a comprehensive dental care routine that includes proper brushing, flossing, fluoride treatments as well as proper food and beverage consumption in addition to regularly scheduled dental visits, sealants are an aid to help maintain healthy teeth and gums. Sealants provide additional protection for the grooved areas of teeth from what is known as pit and fissure decay, though brushing and flossing are critical components of any dental health regimen for your little ones. Today, we at Smile Reef would like to elaborate briefly on dental sealants for your kids. Around the age for most children, dental sealants should be applied as soon as possible after permanent tooth eruption for maximum protection. By a trained dental professional, both dentists and dental hygienists are qualified; the sealants are placed during an office visit. Before the sealing procedure, the teeth undergo an exam and a detailed professional cleaning. A substance is applied on dried teeth, where it will be rinsed and dried again. A special light is placed above the tooth to harden the sealant onto the tooth surface after the sealant material is administered to the biting surface of the tooth. The procedure is typically quick and painless and the child doesn’t have any recovery time. Numbing medications are not necessary and there is no drilling involved. The dental sealant procedure is relatively fast and usually painless. 1) Teeth Preparation. The dental hygienist will remove plaque and food debris from the pit and fissure surfaces from the tooth by first polishing the tooth’s surface. The tooth is then isolated and dried. From there the hygienist etches the surface of the tooth, rinses off the etching debris, and dries the tooth again. a self-curing light will be used for about 30 seconds. 3) Procedure is Evaluated. The dental hygienist and dentist conclude the procedure by evaluating the dental sealant and checking its occlusion. The dental sealant will harden where it becomes a hard plastic coating. Once this occurs, your child can eats and drink again. With the proper care, sealants can last up to 10 years. Over time, they gradually wear away. The sealants hold up remarkably well to normal chewing and eating habits. During your child’s dental exams, the dentist will assess the integrity of the sealant, and should the sealant experience expedited wear, the sealant can be reapplied as well as reapplied when it naturally wears down. If you are interested in getting sealants for your children, call Smile Reef, we can book your appointment and our dental experts can answer any questions you may have during your appointment and child’s exam. Child Dental & Oral Hygiene Tips for All Ages & Importance of Taking Care of Your Teeth! If you have a child or you are going to have one, you want to make sure you know how to best care for them. You need to determine when the child needs health care and when to start changing their diet as they age. Another aspect of the child health and development that you want to have a good idea about is their oral health. It does not mean the care of just their teeth but everything that is in their mouth. The interesting thing is that you need to change how you care for your child oral hygiene based on their age. As they grow their mouth will change as well as the things that they are eating. That is why you need to know what to do and when to make these changes. 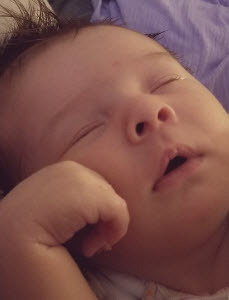 Newborn Oral Care: When you have just had a new baby the last thing that you want to worry about is their dental care. The problem is that just as important their vaccinations are and feeding them a full meal their oral care is on the list too. A new baby will be feeding strictly on mother’s milk or formula through a bottle. The baby getting this type of food can bring the nutrients that the child needs but it can build upon their tongue and their gums. When the baby is in infancy you want to start with a soft clean cloth to wipe down the babies mouth after they are done eating. This will also stimulate the babies gums which will bring the blood flow to them. There are some children that will start to develop teeth and when they do you want to also use a soft baby toothbrush on their fresh teeth two times a day. This will make sure that the buildup is removed from the teeth as well. Toddler Dental Care to Avoid Tooth Decay: When you have a toddler they seem to want to get into everything. They also are getting to an age that they want to be independent. When it comes to their oral health it is a great age to start showing them how to brush their teeth. They should have all their baby teeth in and learning good technique early can help in the long run. Although you are teaching them it is important that you continue to do the thorough cleaning for several years. Tooth Care for Older Children & Teens: The next step of a child’s oral care is when they are on their own when it comes to brushing. This is the time in their life that they need to be brushing well at least two times a day. They also should be flossing on a regular basis. 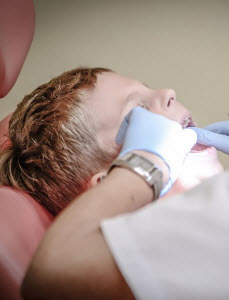 Any extra care that is needed will be determined when the child gets to the dentist. The child should have began their dental treatments when they start to cut their first teeth. This will help to keep the child calm about going to the dentist. 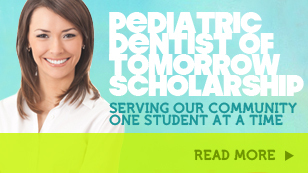 Smile Reef is a pediatric dentist that has kind and gentle dentists to keep your child at ease. Call us to schedule your next appointment today.